What makes an online retailer successful? Take an example that everybody knows and aspires to, Amazon. What makes Amazon the retail giant it has become? While the company is always under fire for running an almost monopoly retail business, it’s fair to say that, just like any other businesses, Amazon has once started small. Its successful expansion is the natural result of its effective processes. First of all, Amazon has provided innovative checkout methods, making it easier for customers to pay via the app or their website in one click online. It’s more than a fun gimmick as the gain of time encourages every day millions of customers around the world to click and buy in a matter of seconds. Additionally, the second most significant advantage of Amazon lies in its delivery services. Indeed, you can order an item and receive it the same day. When you compared against other retailers, such as La Redoute for instance, which needs several weeks to deliver orders out of France, it’s fair to say that customers prefer a speedy delivery. And who says speedy delivery says organized warehouses. So, one of the main challenges for small businesses to tackle and copy Amazon’s example is to sort out their warehouse issues. First of all, your warehouse needs to be an organized space in which employees can navigate quickly to fulfill orders. If your staff struggles to find the right products, you need to review your signalization within the warehouse. You can find packing software that plans the best route throughout the warehouse to retrieve each item without wasting time. This could be a profitable addition to pack orders quickly and effectively. Additionally, if you’re in the process of considering a warehouse remodeling process, including space-saving pallet rack arrangements, you might want to sit down with an expert structure designer. Indeed, keeping everything easy to find and accessible, while introducing large alleys for the necessary machinery can be a game-changing strategy! Do your customers buy products online that are not in the warehouse anymore? If this is the case, you need to improve your logistics solution to ensure that you can track everything at all times. Indeed, customers commit to a purchase based on the information that is available on the website. 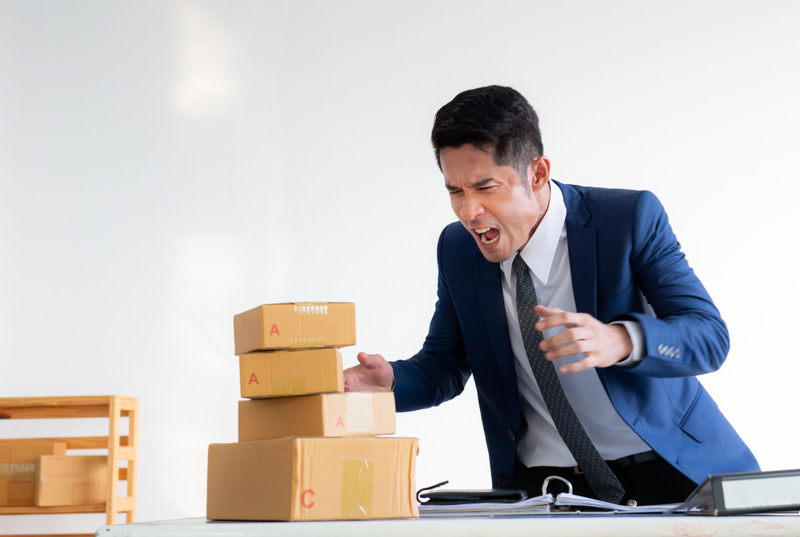 However, if the delivery date is not up-to-date because the warehouse hasn’t received the supplies, or if the product is out of stock, your company appears unreliable. Warehouses can be dangerous places. Accidents in the warehouse can not only damage your goods but also put your employees at risk, which in the long term will affect the customers through delays and unavailable products. From instance, if you don’t use the appropriate equipment – a lift truck, namely –, pallets could be stored precariously and collapse. Additionally slips, trips and falls lead to 15% of all accidental deaths, meaning that poor lighting, spills, and materials leaving unattended in the warehouse require all your attention. Health and safety training can save lives! Your customers don’t expect your business to compete against Amazon. But they expect from you the same attention to details, on the website, and in your warehouse. Focus your efforts to meet their expectations!